SunLife is a house-hold name in the UK, providing insurance and financial services to the over 50s. 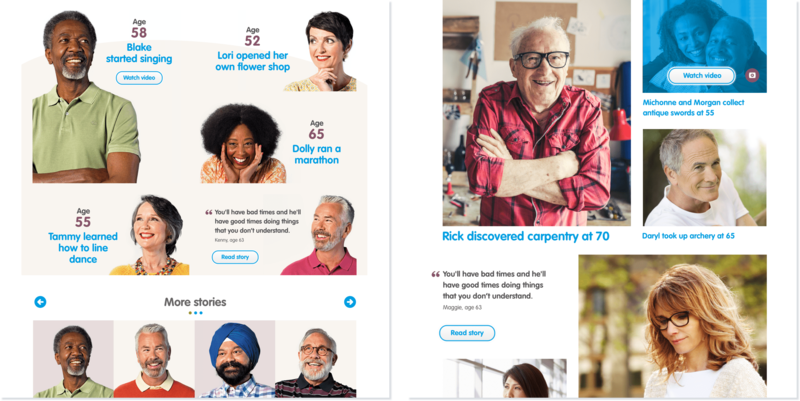 We worked together to improve consistency and reduce friction in the visual execution of their brand across multiple channels. L – To demonstrate the SunWise design system, I created concept designs for key pages on their website. R – 20 art-directed pages of the SunWise style guide informs developers and inspires designers to express the SunLife brand across media. 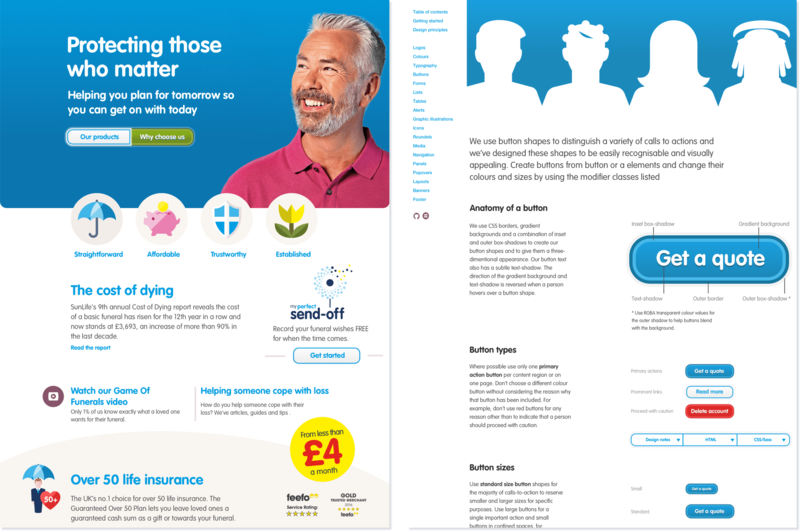 SunLife found it difficult to maintain the integrity of their brand across channels and their digital design felt disconnected from print. What they needed was an integrated approach to design, so I worked with them to create a visual language that’s now consistent throughout digital and print. 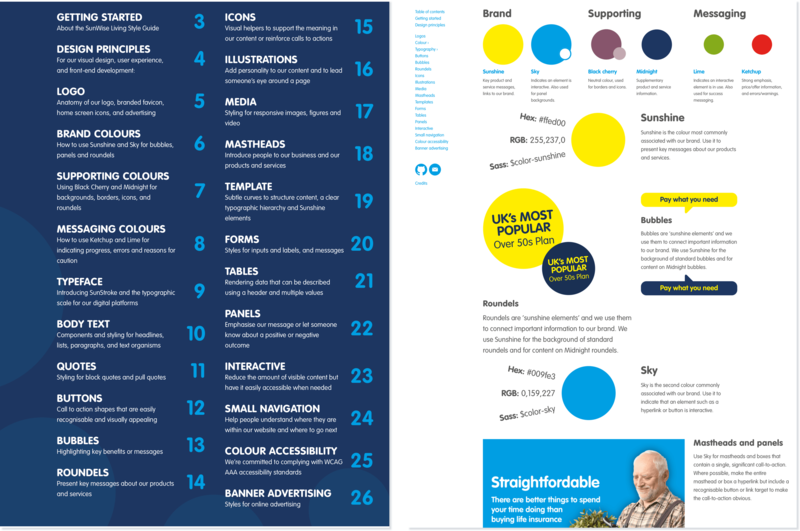 L – The SunWise design system includes guidelines and principles for colour, icons and graphic illustrations, typography, and more. R – It provides information about the SunLife colour palette and practical examples of how to use it. 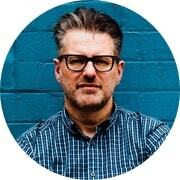 SunWise includes an elaborate style guide, one that’s designed to inspire designers and inform developers. I brought the SunLife brand to life on each page by filling them with art directed content and examples of how to express the brand across digital and print. 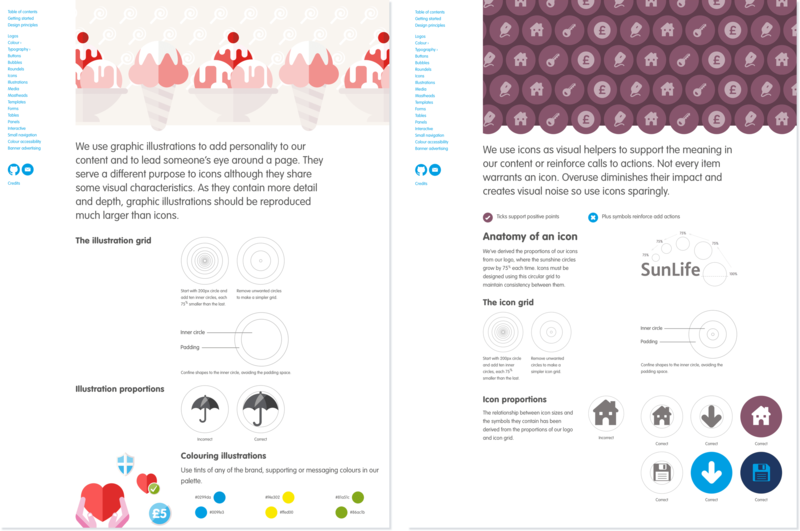 L – In the new design system, the proportions of graphic illustrations are based on the circles in the SunLife logo. R – Those circles also inform the design of icons used across media. Above – I adjusted the SunLife logo so that each of their rising and setting circles is 75% larger than the last and simplified the mark for small icons. This logo is the masthead of their visual identity, so I used its ‘sunshine circles’ to connect important information with their visual identity throughout my designs. 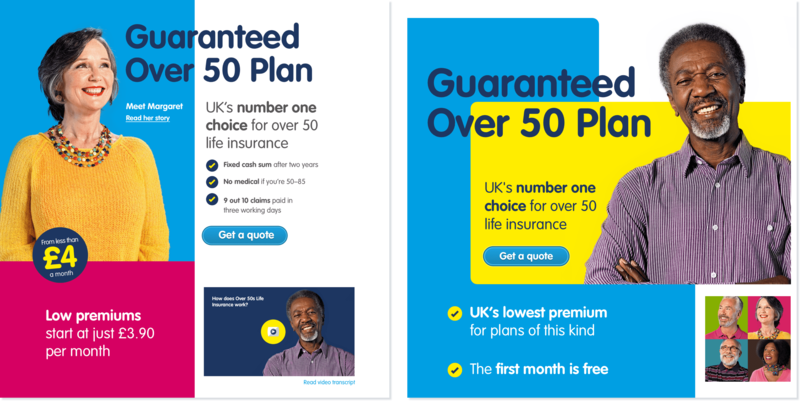 Above – Colour and images are an integral part of SunLife’s lively brand, so I developed guidelines that help them maintain consistency and reduce friction in the visual execution of their brand across multiple channels. 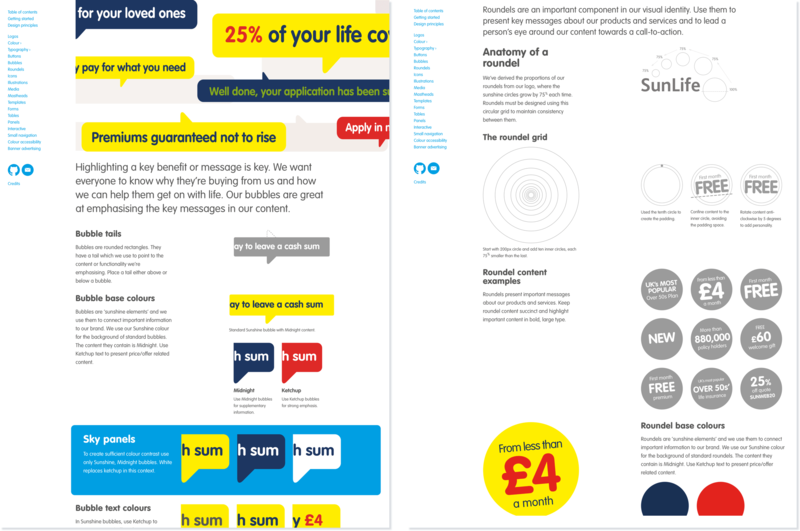 Above – Both these distinctive SunLife page concepts are based on a 4/6 compound yet look very different to each other. Although these designs didn’t make it to production, they did prove how flexible that grid can be.